We listened, we laughed, we cried. 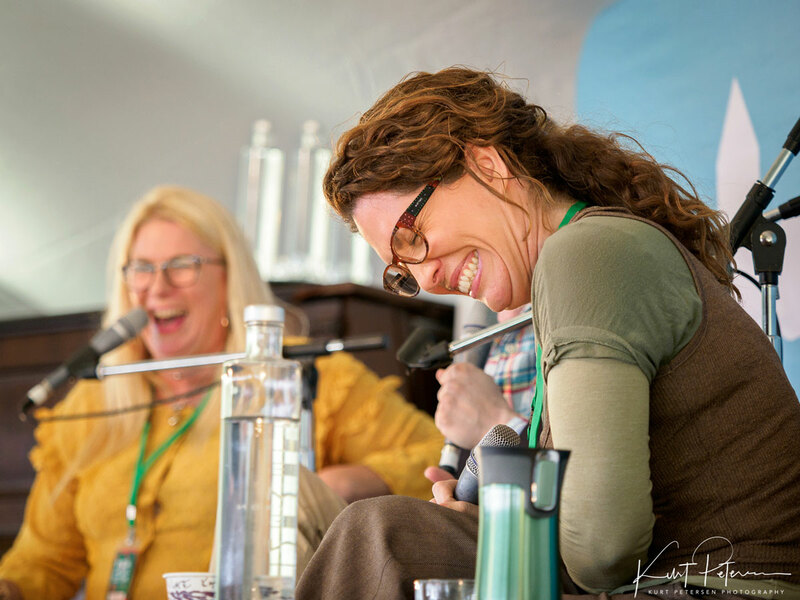 An unforgettable weekend of conversation and storytelling for all who attended. Our stunning Festival site shone under a brilliant sun for three days. Enveloped by nature and adorned with an array of captivating sculptures, it was a treat to see patrons kicking back and enjoying the greens as much as the sessions. Misa Alexander and Erin Knutt , Eddie Ayres, Oliver Phommavanh, Matt Stanton, Andrew Hansen and Jessica Roberts, and Lian Tanner entertained a packed tent on Sunday morning, while the ‘StoryBoard’ StorySpace came alive with free workshops. Thank you, thank you, thank you! This outstanding Festival is possible because of you! Just a few of the (many) friendly faces that we are so proud of. A huge thank you to our official photographers Kurt Petersen and J Miller for capturing the magic of the 22nd Byron Writers Festival. All images are copyright Byron Writers Festival 2018. Should you wish to acquire high resolution images please contact us.